It's not totally uncommon for a teenager to be interested in wine—or any alcohol for that matter— but it's safe to say that most 17-year-olds probably aren't as curious about learning the time consuming winemaking process from harvesting grapes to bottling blends. 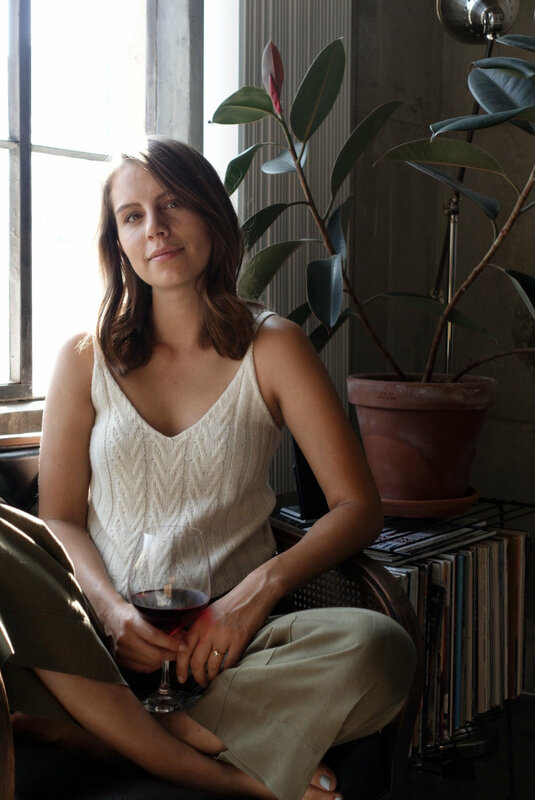 While most of her peers were likely more concerned with guzzling Two Buck Chuck than analyzing the nuances of different varietals, Rachel Silkowski was plotting her career as a winemaker as early as her senior year of high school. And the Tustin, California native wasted no time after graduating to start making steps towards this goal. During summer vacations from her Agricultural Business Management studies at Oregon State University, Silkowski interned at Loring Wine Company, a boutique winery in California's Central Coast. Eventually, she become Assistant Winemaker there, and the Lorings let Rachel experiment with her own barrel. In 2013, RASI, her own label, was born. Still a super small production wine company, Rachel's now making around 16 barrels per harvest and growing. Though she's frequently in Lompoc to tend to her business, Rachel's also growing RASI's presence here in Los Angeles where she lives full time. You can currently try a glass at downtown LA's Faith & Flower, as well as a bunch of great eateries throughout the Central Coast. And RASI's two most recent wine will soon be available for ordering online (sign up for the mailing list to get first dibs). We headed to Silkowski's new Westlake loft—where eventually she hopes to offer official tastings—to learn more about how she fell in love with the idea of winemaking, the perks of frequenting California's most up-and-coming wine region, and what RASI has planned for the future. And yes, we tasted the wine and it was sublime. You actually were interested in becoming a winemaker before you were even old enough to buy a bottle. What fascinated you about wine? Growing up, and especially in high school, my dad and step mom made it a priority to have dinner together several times a week. My step mom is an excellent cook, my dad would pick out the wines, I would choose the dinner music, and we ate by candlelight. It's maybe my favorite thing we did together and something about having wine at the table and thoughtfully pairing it with the food made it feel like a special occasion every time. That aspect of wine culture and how it brings people together around a table made me want to continue to be around it. You cut your teeth at Loring Wine Company in Lompoc, which is a well-respected, family-owned boutique winery. What was the most important lesson you learned during your time there? The Loring's run a very clean, efficient, and organized winery but above all, they remind me how important it is to be generous and gracious in business. What's the biggest misconception people have about wines lately? Screw caps are of course a big one which goes back to the issue of tradition verses science. All of the RASI wines are bottled under screw cap because it makes the most sense for a small business: it's less expensive than cork but more reliable. Alcohol is another hot button issue at the moment. Alcohol is directly related to the sugar, or ripeness, at which the grapes are picked. I prefer the extra boldness that you get when you pick later in the season but the wines are fermented completely dry so they aren't sweet like a dessert wine. I would like to see more transparency in the industry and also for preference to be seen as just that, and not a rule that everyone must follow. How does sustainability play a role in your label's winemaking? Sustainability has become a popular marketing phrase in a culture that is more and more conscious of where their products come from. I considers this as a producer as well as a consumer. Unlike labels like organic and biodynamic, sustainable standards aren't as clearly defined. If you were to look at most boutique wineries though, they are pretty sustainable by nature. We source from small, family run vineyards who sell their fruit to local wineries. The grapes are hand harvested and the wine is made with very little intervention. Tell us about the newest Rasi wine. This is the first year that I will be releasing two wines. The self titled RASI is a single vineyard Pinot from Pali Vineyard and is a little bolder and more earth toned. The second wine is fun, and hopefully people get it. The wine is called 'It was one of those rare LA days where there happened to be a thunderstorm', and it's a little lighter, brighter due to some high toned acidity and neutral barrels. The wines are made in California's central coast. If we were taking a road trip there, we would you say we need to eat, drink, or shop? Sweet Repeats for great thrifting in Lompoc. Full of Life Flatbread in Los Alamos for a romantic outdoor meal. I also encourage everyone to try and find smaller wineries. They might not even have a tasting room, but you can e-mail ahead and schedule a private appointment. What do you see in Rasi's future? Four years ago I was just making a barrel of wine for friends and family and I hadn't given much thought to where I wanted it to go. Since then my fiancee and I have been working together on it's future. Up until now RASI has released one wine each year sold online, but "It was one of those rare LA days where there happened to be a thunderstorm" signifies a transition year and the first step to becoming more than just RASI. Each year new wines will be introduced and we plan to have more of a physical presence in Los Angeles. In the more immediate future, these two wines will be released to the mailing list in a few short weeks and we'll be working on getting them onto our favorite shelves and restaurants.